Yuri Butsko (1938–2015) was a prolific and influential composer in the last decades of the Soviet Union, but his reputation hasn’t travelled far beyond his homeland. 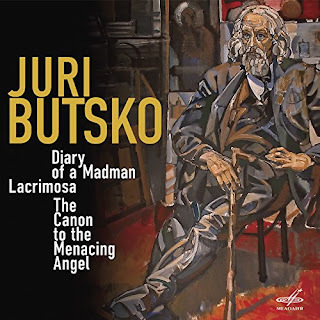 When the 60s generation of “unofficial” composers began voicing their dissidence through religious themes, rather than outright Modernism, in the 1970s, Butsko was one of the pioneers of Orthodox music rendered as instrumental concert music. His experiments with harmonies from Orthodox chant, especially tetrachordal modes, were influential to Schnittke, a school friend of Butsko, and also undoubtedly to Rodion Shchedrin, whose Polyphonic Notebook is similar in spirit and technique to many of Butsko’s keyboard cycles. But, as this release demonstrates, religious works were just one aspect of his diverse output. The set opens with a “mono-opera,” Diary of a Madman, based on a short story by Gogol. Frustratingly, no libretto, or even ploy synopsis, is included, but Gogol’s story, as its title suggests is written as a personal diary, so suits this treatment as a one-voice opera. Butsko was still a teenager when he wrote the work, making its subtle and dynamic dramatic style all the more impressive. 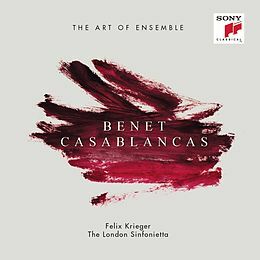 The opera is more often performed with just piano accompaniment, but this recording presents the full orchestral version. In fact, this too features a very prominent piano part, and the other orchestral instruments are always used sparingly. The style is tonal and very Russian. Comparisons with Shostakovich are tempting, and no doubt the work show some influence. But there is less angst here, for all the dramatic impetus—Butsko may be working in the same cultural milieu as Shostakovich, but his personality is completely different. Baritone Sergei Yakovenko is a convincing madman, sometimes erratic, but always expressive, and with a leading, narrative quality, ideal for the work. The recording was made in 1976, but the sound quality is excellent, consonants a little fuzzy but otherwise close to modern standards. The second CD begins with Lacrimosa for string orchestra from 1982. The work is dedicated to a family of Old Believers who were discovered by a geographical expedition in the foothills of the Altai in the late 70s. It is an excellent example of Butsko’s liturgically inspired instrumental writing: the music built on complex polyphony but always clear in texture and harmony. Unfortunately, both the performance and the sound recording let the work down. The orchestra is a student ensemble, so concessions can perhaps be made, but not for the audio, which sounds several decades earlier than its recording date of 1988. Much better is the final performance, of The Canon to the Menacing Angel, one of Butsko’s final works, from 2009 and recorded in 2011. The oratorio sets texts by Ivan the Terrible, again frustratingly omitted from the literature. Given the late date, Butsko’s style now sounds conservative, though it hasn’t changed significantly. The work is more closely aligned with the sound of Orthodox liturgy, employing tenor and bass soloists, choir, and an ensemble of keyboards and percussion (a typical Butsko combination). The two soloists, tenor Sergei Spiridonov and bass Anton Zarayev, excel, both clearly conversant with Orthodox chant customs. The choir (another student group) is also very fine, singing with that combination of lyricism and unforced power that characterizes the best Russian vocal ensembles. Lack of texts aside, the presentation is excellent. Melodiya include several evocative watercolor portraits of Butsko himself, and he appears to have styled himself a religious ascetic type, with long white hair and goatee. 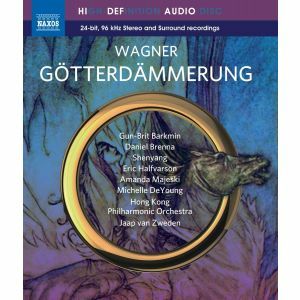 The liner notes are translated into a reasonable English (with German too, and the original Russian), and provide more information about the composer than any other English-language source to date. The album has been released to commemorate the 80th anniversary of Butsko’s birth, and serves as a fitting memorial, even if it only scratches the surface of a hugely diverse life’s work. This review appears in Fanfare magazine issue 42:4. The city of Győr is located in the Northwest of Hungary, near the border with Slovakia. Its Philharmonic Orchestra appears to be a well-respected, if provincial, ensemble. This set of Brahms symphonies has been released to celebrate the orchestra’s 50th anniversary, although its roots go back further: The orchestra was founded in 1894, but only in 1969 became full-time and professional. The release takes the form of three separate discs (9.70276, 9.70277, 9.70278) in a cardboard slipcase. They may be available separately, but, unlike previous Naxos releases in this format, they don’t appear to have been released previously. All have recording dates, but two omit the year, the other was recorded in 2017. Liner notes are in English and Hungarian, suggesting Naxos are courting the orchestra’s home market. Conductor Kálmán Berkes takes a traditional view of Brahms, with most of the musical gestures played out on a grand and sweeping scale. But he also keeps tight control of the music, often phrasing the melodies strictly, especially the second subject themes in the first movements of the Second and Third Symphonies. He is also keenly engaged at the big transition points, such as the move from the slow introduction into the Allegro at the start of the First Symphony. And although he seems to favor weighty textures, there are many moments of lightness and elegance, like the second movement of the First Symphony, and the beautifully flowing opening of the Fourth. First movement exposition repeats are taken in the First and Third Symphonies, but not in the Second. The orchestra is good, but not great. The biggest problem is a decidedly ordinary string sound, which often lacks focus in tuttis. High violins rarely soar, and the low strings often sound murky, draining the First Symphony finale of atmosphere at its opening, and the first movement of the Second Symphony too. The woodwinds are more impressive, with broad, characterful tone to each of the soloists (local color? ), and crisp ensemble as a section. Extras are the Tragic Overture and the Academic Festival Overture. The former suffers from insecure brass, while the latter is given a slick, atmospheric account that rounds off the collection well. 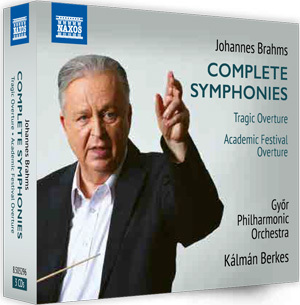 Even so, two of the discs are well under an hour, and there are plenty more Brahms fillers to chose from. Sound quality is reasonable, though a little congested in the mid-register and towards the back of the stage. There is probably little of interest here for collectors, but if this were the only Brahms cycle in your collection, you wouldn’t be doing him a disservice.